There's a lot to love about your daily cup of joe. Great news, coffee lovers! Coffee is good for so many things -- not just your mornings. Health news for a social world. That morning cuppa is a must-have for many people. And now it looks like java fans may have a healthy reason to pour another cup. There really can't be any adult in this great big world that has never tried coffee. It's consumed everywhere, and judging by the amount of Starbucks locations in the United States alone, (in 2012, there were 10,924!) we love our caffeine. A Myriad of Benefits Brewing? Coffee, especially caffeinated coffee, may provide a myriad of health benefits, but the jury is still out. Drinking coffee in moderation is safe, but don't be fooled by sweetened beverages with coffee flavor. It's the coffee bean, not the cream and sugar, that may be good for you! If you drink coffee, I have some bad news and some good news. 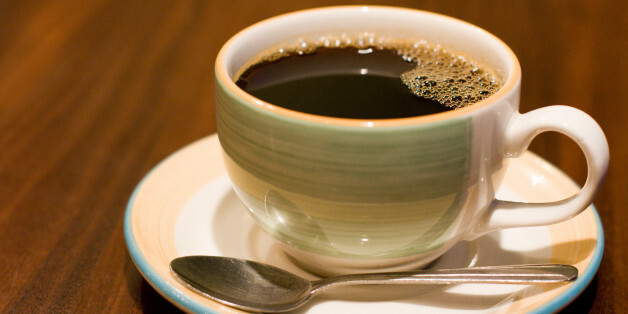 The bad news is that the more cups of coffee you drink, the higher your risk of dying early. The good news is that if you "risk adjust," then the more cups of coffee you drink, the lower your risk of dying early. Let me explain. Due to its worldwide popularity, coffee is probably the greatest source of antioxidants in the global diet. And while having lots of it isn't recommended for everyone, for some of us, it may just be the superfood of the century. Here are nine reasons to start the day with this healing drink. The Pleasure and Pain of Coffee: How Confusing Can It Get? Confession: I am enamored with coffee. In fact, I adore coffee so much that I coerced my coffee-virgin husband to "just give a Starbucks mocha a try," and now he's hooked, as in love with coffee as I am. Does that mean I created a drug addict? This is where all the confusion comes in. The benefits of coffee can extend beyond what the studies show, to the psychological, societal and cultural benefits of the world's most popular beverage.